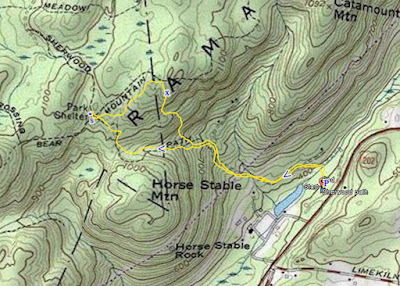 Shimmy had informed me that he know of someone who purchased a property along Route 202 backing up to Harriman, and he knows the person. 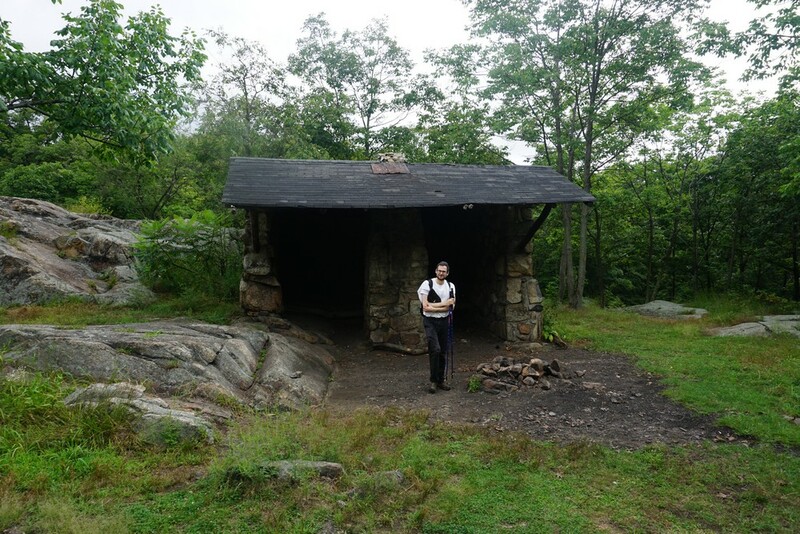 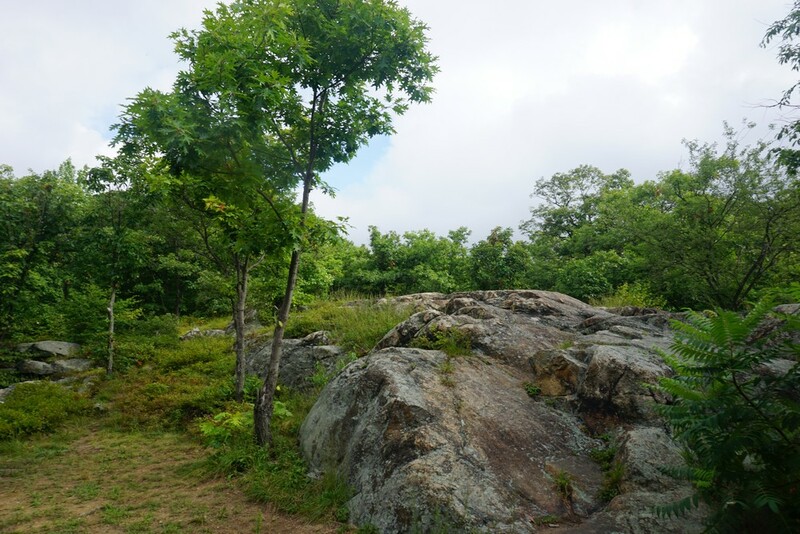 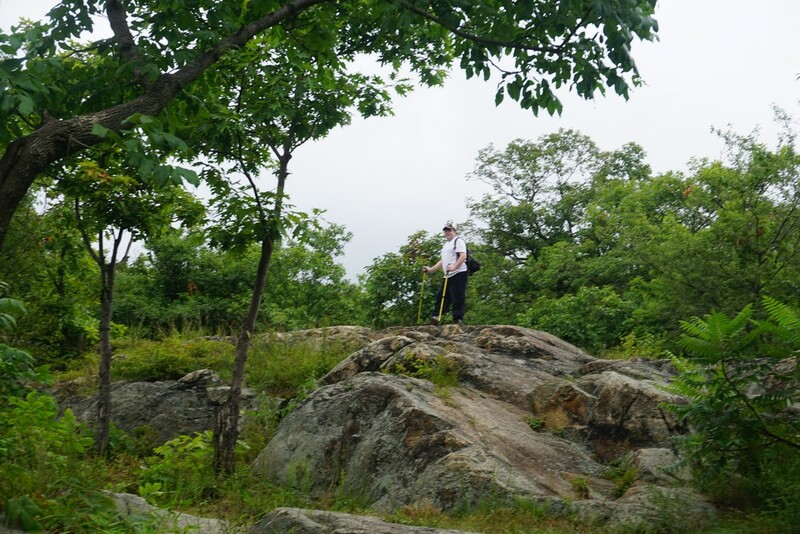 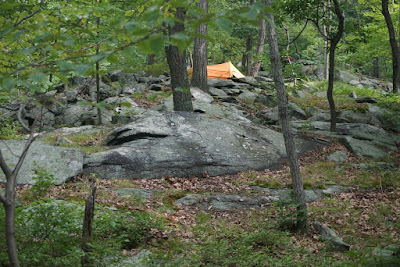 The location is close the Sherwood Path and easier access to the Stone Shelter and trail network in Harriman as accessed from the Sherwood Path. So we decided to check it out. The weather was absolutely miserable. 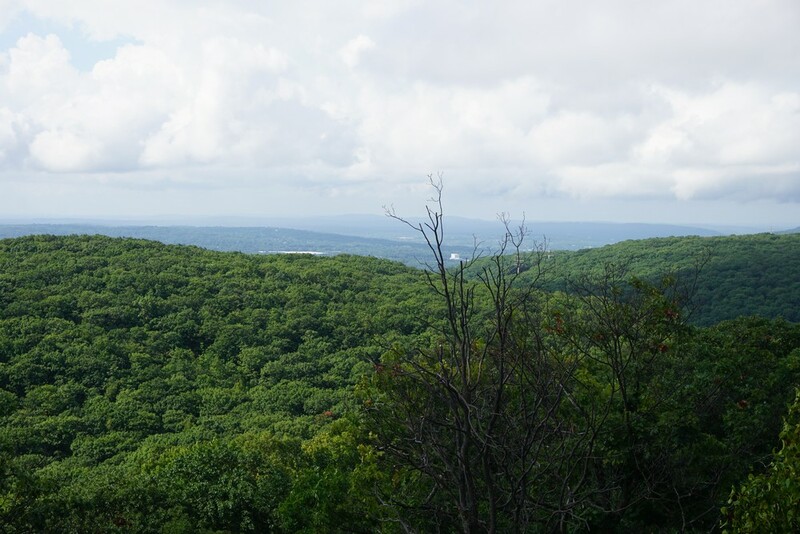 It was hot with a heavy, dense humidity, with strong showers predicted at the end of the day. As we headed out we encountered a very brief but furious downpour. 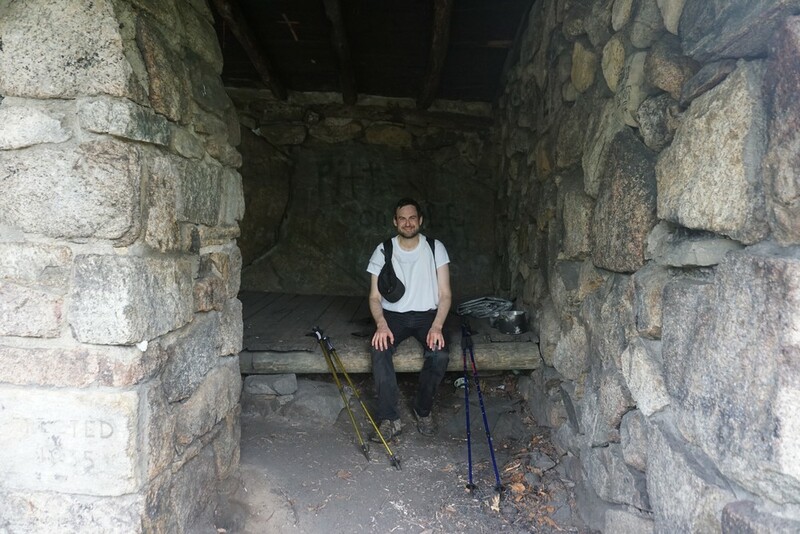 Anyways, We parked at a private location on Route 202, and went through the woods for a short duration, crossed the Mahwah River, and hit the Sherwood Path. 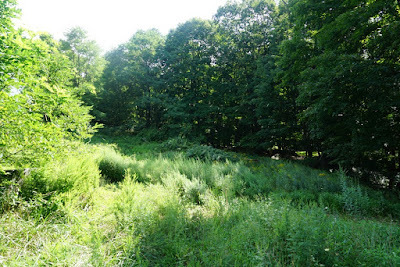 The bottom part of the Sherwood climb, prior to its intersection with the gas line, is extremely overgrown and not taken care of. We continued up the Sherwood Path all the way to the Stone Memorial Shelter, snaking through the difficult Sherwood Path until that point. Shimmy and I split at this point; Shimmy continued to Pine Meadow Lake, and I had to start heading back. 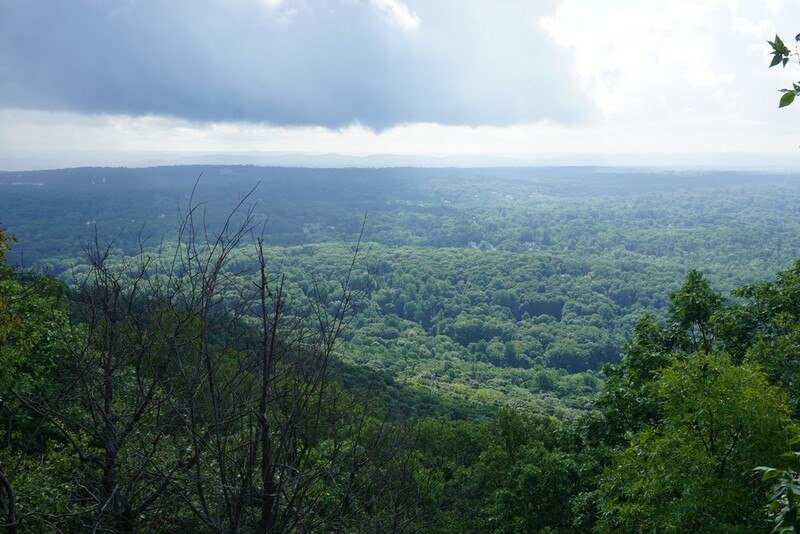 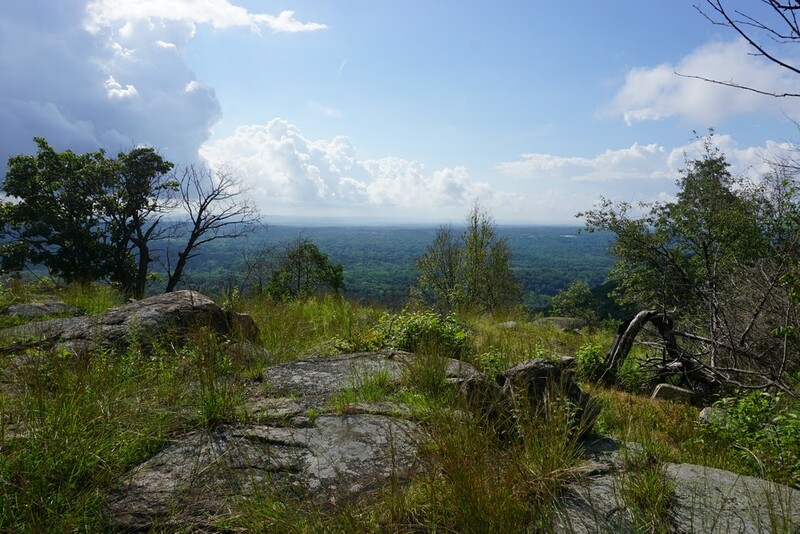 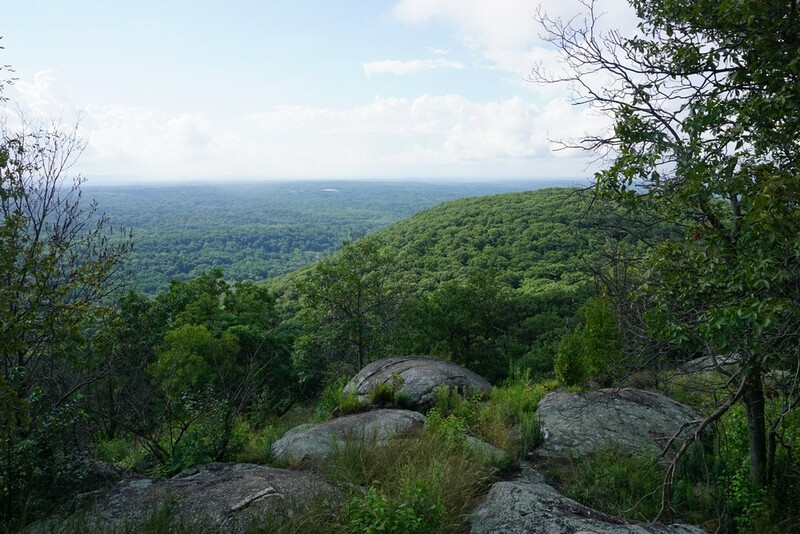 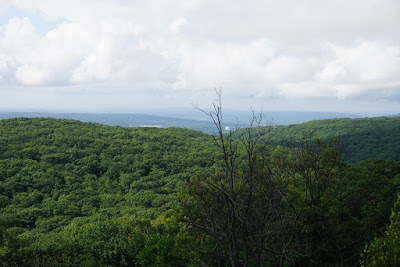 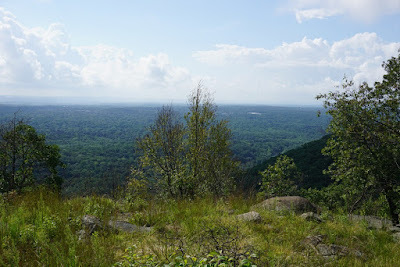 Instead of taking the same route that I came, instead I took the Suffern-Bear Mountain Trail north and then as we were approaching the ridgeline with the view, I cut across and bushwacked down back towards the Sherwood Path. Once back on the Sherwood Path, I headed along the same route back to my car.